Start the PE Network Manager on the desktop of Windows PE. 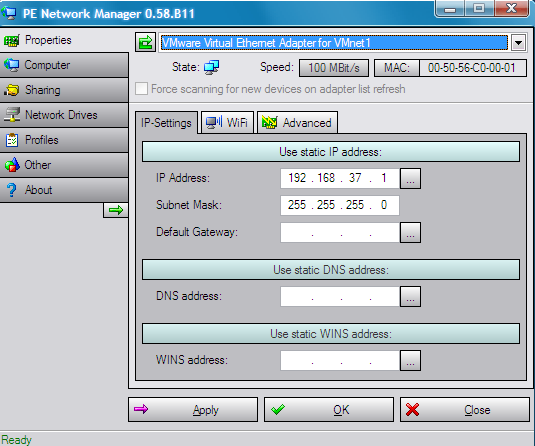 Fill in the IP Address, Subnet Mask and Default Gateway on the panel, fill the DNS address if internet access is required, then press Apply to save the change and connect. Note: PPPOE connection is not supported on Windows PE system, only LAN connection and router are available.